This year is full of travel adventures for me. From busy city getaways to tropical Caribbean destinations, I am really taking it to the next level. However, I am not forgetting about my California, Monterey County in particular. As you might know, I visited the county back in April and am yet to go back and explore it in more detail. It’s hard to say what my perfect getaway is, it really depends on my mood and company. Sometimes I like outdoor activities, sometimes all I want is just spend a few leisurely days filled with food and wine. But what I know for a fact is that Monterey County has it all. It’s a vast geographic region that encompasses a life-enriching array of experiences – with places like Big Sur, Pebble Beach, Carmel-by-the-Sea, etc. From the coastal to inland, there is something unique for everyone. READ ON FOR AN EXCITING TRAVEL GIVEAWAY! With my crazy schedule, I am hoping to find a few days of downtime some time this fall and experience the road trip of all road trips as I wind along the breathtaking Big Sur coastline on Highway 1. But if your schedule permits, you can do it now! Book a hotel on the beach, then explore the shops and attractions of iconic Cannery Row. Sip handcrafted wines at tucked-away tasting rooms where the winemaker might just be the person pouring. Take a surfing lesson and catch a glimpse of a barefoot beach wedding as you ride your board to shore. Play 18 holes at legendary golf courses, or just hang out at the 19th hole and watch the pros practice. 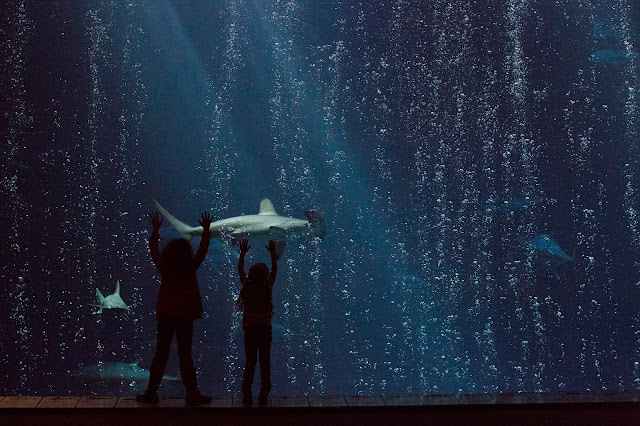 Or open your eyes to the wonders of the ocean at the Monterey Bay Aquarium. The possibilities are as endless as the coastline. 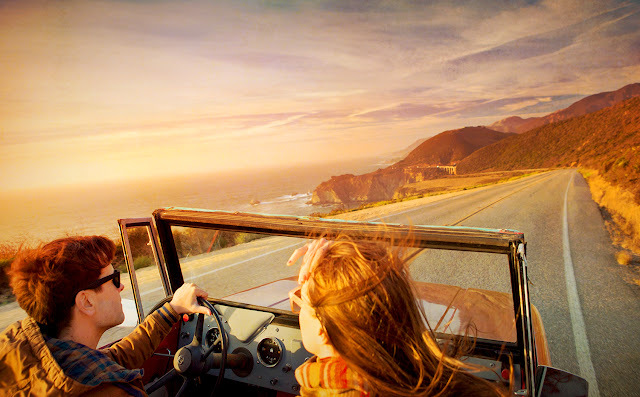 Monterey County has everything you need to grab life by the moments, while you’re there and when you get home. And you know what? You are in for a great treat! See Monterey is giving away 1 complete trip package, including 2 nights at Monterey Tides, 2 tickets to the Monterey Bay Aquarium, and a wine blending at Joullian Vineyards. Comment below with your email address for a chance to enter! See Monterey will be randomly selecting the winner from the comments. Today’s post is sponsored by See Monterey, but my love for Monterey County is all my own! Diana I visit Monterey at least once a year. Wonderful place with beautiful views, great food and history! Whoever wins this will thoroughly enjoy the trip! Это удивительные моменты в нашей жизни, которые обогащают нас и делают мир прекраснее! Возможность насладиться такими моментами - это и есть способ переключиться от повседневных забот и зарядить себя положительными эмоциями, чтобы двигаться вперед! Давайте возможность себе испытать этот мир открытий и познаний, и вы убедитесь насколько легче идти дальше! Beautiful pictures! This is an amazing place Monterey County! Love it! My husband and I never got to go on a honeymoon. This would be lovely! WOW!! That looks amazing!! Monterey Bay Aquarium looks fun :) Thank you for the chance! How nice this would be. I love Monterey....especially the aquarium! Thank you for the give away!!! Thanks for the chance, its a beautiful scenic place I wish I could visit one day. Jessicarayburn@hotmail.com I am so hopeful. jenannhayden@yahoo.com - Monterey is gorgeous!! Wow! What an amazing chance! I visited Monterey last year on a girls' trip. I'd love the chance to take my husband and daughter back to see the county I fell in love with! Would love to vacation in Monterey. A trip would be great!! Good luck to everyone! !